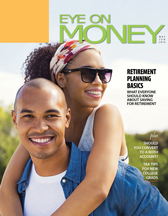 What everyone should know about planning for retirement. Should you convert to a Roth account? With lower federal income tax rates in place, this may be an ideal time to convert to a Roth account. Tax tips for new college grads. Don’t miss the tips in this article if you or someone in your family recently graduated from college and began working. 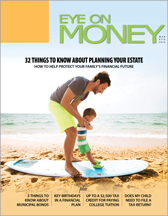 Also in this issue, you can check out three surprising things that life insurance can do and info on getting your financial ducks in a row in the year before college. 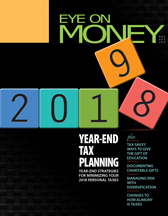 Plus, you can test your investing knowledge, learn why you may want to put Nice, France on your travel bucket list, see what major museums have planned for the summer, and take a quiz on the most extreme places in the world. Plus so much more! 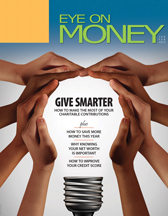 Don’t forget you can get Eye on Money delivered straight to your inbox. Just ask our wealth management team to sign you up. Need more information? Reach out to your Magnuson, McHugh, and Company wealth management representative so they can address any questions that are specific to your situation. That’s why we’re here for you!